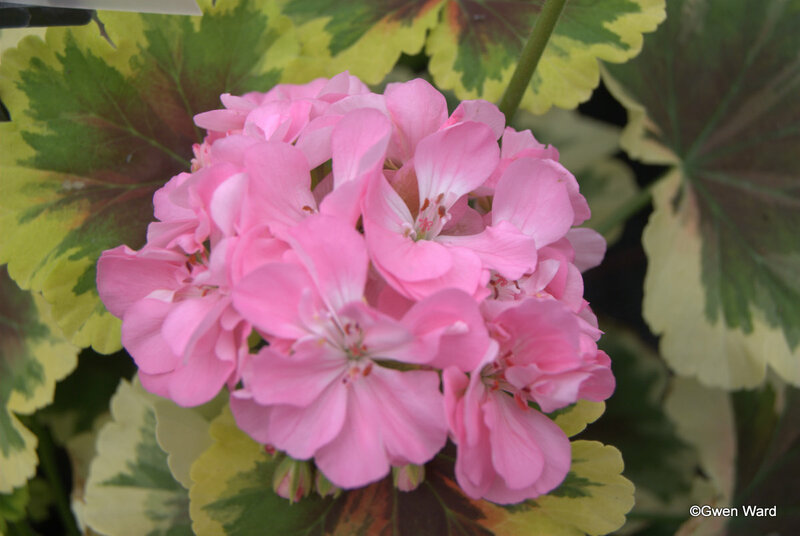 On Saturday I attended the Pelargonium Show of my local Society - Farnborough Fuchsia & Pelargonium Society. Here are a few photo's of the show. Sorry about the quality of the photographs - the hall is a bit dark. Scented Leaf " Fragrant Frosty"
My Hosta "Fire Island" got a First in the Any non-flowering plant, not a pelargonium section. This cactus exhibited by Peter Mazillius was "Best In show" in the Any Flowering Plant, not a Pelargonium Section.